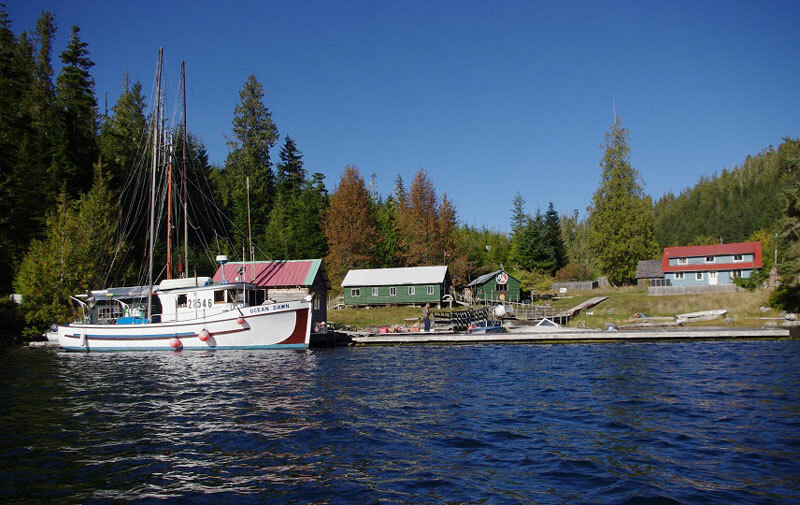 The most prolific literary town in Canada on a per capita basis has got to be Echo Bay, B.C. 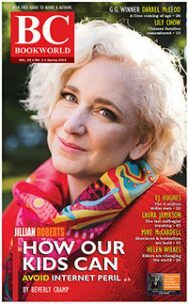 With a year-round population of approximately ten, miniscule Echo Bay has been home to four authors–Alexandra Morton, Bill Proctor, Yvonne Maximchuk and Nikki Van Schyndel–over a 25-year-period. 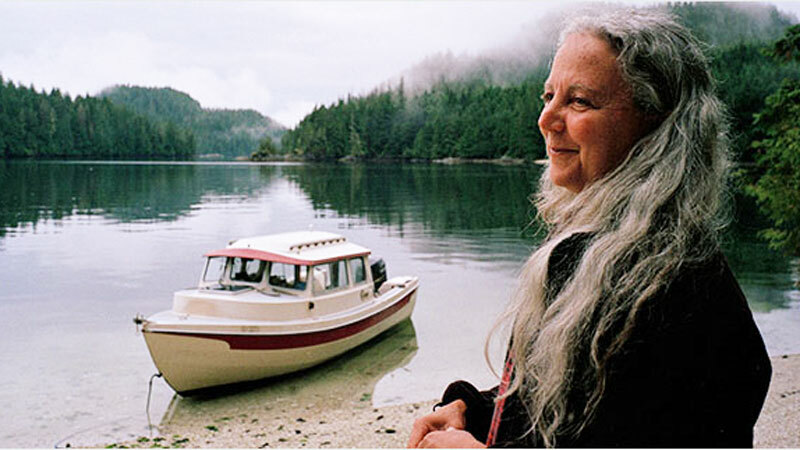 B.C.’s leading opponent of fish farming, Alexandra Morton, lived there from the mid-’80s until 2007, raising her son and daughter on a floathouse, conducting maritime research and working on lifetime local Bill Proctor’s fishboat. Morton arrived to study orcas in B.C. in 1979. Six years after her marriage to filmmaker and photographer Robin Morton in 1980, her husband died while filming whales, just one day before National Geographic was scheduled to record the couple’s work. Morton remained at Echo Bay from 1986 onward. Echo Bay, Proctors home museum and gift-shop. 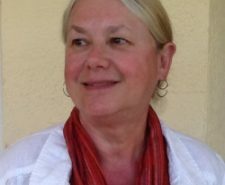 Alexandra Morton first rose to prominence as the author of Siwiti: A Whale’s Story (1991), winner of the Sheila A. Egoff Prize for Children’s Literature. 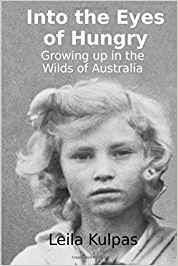 Her charming personal account of one year in the life of a young whale turned out to be the launching pad for decades of public advocacy work for the protection of the Broughton Archipelago and for the elimination of fish farms. Siwiti was followed by a second, educational book about whales, In the Company of Whales (Orca, 1991). In 2010, Morton organized the Get Out Migration protest walk through Vancouver Island communities, as a call to action to make the provincial government aware that wild salmon should be given a higher priority than farm salmon. With Bill Proctor, a lifelong resident of the Broughton Archipelago, Alexandra Morton also co-wrote Heart of the Raincoast: A Life Story (1999), described as a “warts ‘n’ all” memoir of Proctor’s experiences and contacts on the coast where he was raised, without public schooling, by his parents. Listening to Whales, What the Orcas Have Taught Us (Ballantine Books/Random House, 2002) is her autobiography,. describing her efforts to study communication in whales. Theories on whale intelligence are explored, the extraordinary underwater world of whale communication, a woman’s life in the wilderness studying whales and raising children, and her attempts to negotiate for their continued survival. Morton’s life and work are the subject of a documentary film, Alexandra’s Echo, released in 2003. Morton has since moved from Echo Bay, aka Simoom Sound, to Sointula on Malcolm Island, then onto Donegal Head, Malcolm Island. Other titles from Echo Bay are Full Moon Flood Tide – Bill Proctor’s Raincoast (Harbour 2003) by Bill Proctor and Yvonne Maximchuk, nominated for the Bill Duthie Booksellers Choice Award in 2004. The pair subsequently collaborated for a second collection, Tide Rips and Back Eddies – Bill Proctor’s Tales of Blackfish Sound (Harbour 2015). 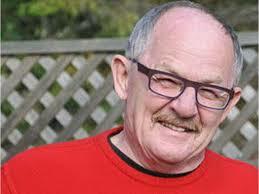 Similar to Morton, Maximchuk is a contemporary homesteader who worked as Bill Proctor’s deckhand for eight seasons. 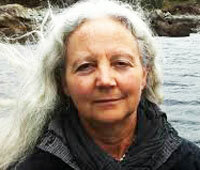 Her solo memoir is Drawn to Sea – Paintbrush to Chainsaw, Carving out a Life on BC’s Rugged Raincoast (Caitlin Press 2013). Having taken up residency on Bill Proctor’s land in 2015, Nikki Van Schyndel previously published a survivalist’s memoir, Becoming Wild (Caitlin 2014), about her year-and-a-half living the primitive life in the Broughton Archipelago, foraging for food and making tools from cedar and bone the way the First Nations people did. On the afternoon of May 8, 2010 thousands of British Columbians from all walks of life, from the far reaches of Kingcome Inlet, Hope Town and Gwyasdums, from Port McNeill to across the Strait of Georgia and from the bays and watersheds of Vancouver Island traveled to your office to tell you that we want salmon farms out of our ocean, because we want our wild salmon. Everywhere in the Pacific Ocean where salmon farms do not exist (Alaska and the western Pacific) wild salmon remain abundant, even the Fraser sockeye that do not pass salmon farms are thriving. The people of BC want their salmon back. Someday we are going to learn how Canada’s governments were sold on corporate salmon raised in public waters in cages that prevent public access when the Constitution states no one has the right to privatize ocean spaces, nor own a fish in the sovereign waters of Canada. In 1989, fish farms were handed to the province to simply side-step the inconvenience of the Constitution, but this era is over and the industry remains fundamentally unconstitutional. Farm salmon enable dams on the Fraser River, oil wells, clear-cuts, open pit mines and I think this is why the bureaucracy has blindly pushed it no matter which government is in power or what scientists, lawyers, First Nations and everyone else has to say. I think Ministry of Agriculture and Land’s handling of salmon farms needs thorough scrutiny. Mr. Campbell, you did not cause this problem, but you have inherited it. The era of cheap oil is over with the people on the Gulf of Mexico being the first hit with what will be a cascading degradation of planet earth that all our children will inherit. You cannot morally chose a salmon that robs one ocean, to pollute a second one while consuming fuel because it feeds Atlantic salmon in BC on fish from Chile. You must choose the salmon that comes home to us without oil consumption feeding us, our forests and creating oxygen. Norwegian salmon farming corporations are holding this coast ransom using the excuse “jobs”, when at the same time they are mechanizing to reduce their payroll. Nothing about this industry appears legitimate to me. It does not make food. It depletes global supply. It is not sustainable as it is running out of cheap fish to grind into pellets. It is not benign as it intensifies disease and pollutes. I do not believe the assurances from the Provincial Ministry of Agriculture and Lands (MAL), nor the Federal Pacific Biological Station that salmon farms are not damaging Canada’s public fishery resources. I believe their research has been skewed and suppressed. I eagerly accept any invitation to argue these points in a court of law. The Norwegian salmon farming industry is consuming massive quantities of Canada’s wild fish with no accounting, or licenses. If you think I am wrong, let’s have a look. Put cameras and observers on every fish pen as it is pulled to the surface, on every packer pumping out the pens and on the assembly line as these fish are gutted. Commercial fishermen have accepted and borne the costs of this scrutiny to protect wild fish and the Norwegians can too. Why did it require an order from the Department of Justice to make DFO lay a charge against Marine Harvest for unlawful possession of wild salmon? Something is very wrong here. Why won’t MAL test Atlantic salmon facilities for the Norwegian ISA virus? How can MAL say sea lice in Nootka Sound are not drug resistant without producing a single test result? My colleagues from the First Nations, scientific, legal, environmental and political communities have all tried to bring reason to the Norwegian salmon farming industry, but the government sponsored level of secrecy surrounding it simply grows. The only reason for secrecy is activity the public does not like. 1- Rescind the leases under all salmon farms in British Columbia and place covenants on these sites in trust for future generations, as they are BC’s most productive coastal wild fishery grounds. 2- Invite Norway to graciously bow-out and go face the calamities they are experiencing in Chile and in their own shores. 4- Use the best knowledge we have and actually restore the resilient wild fish, not enhanced fish, which are very unlikely to survive climate change. If the people of British Columbia are your primary concern, there is no rational obstacle to embracing these solutions please start rescinding leases immediately. There is something very wrong with this situation and it is only a matter of time before we figure it out. Let’s move forward. Given their track record in Chile these Norwegian companies are not sustainable anyway. The state of the planet is a very serious concern and it is immoral to further degrade public resources that we will need on in the coming decades. This is about food-security and to pretend it is anything less is deceptive. In a world depleted of easy oil no one is going to be moving fish from the south Pacific to make less fish in the North Pacific, but we will most definitely be thankful to have millions of wild salmon returning to us for free! Thousands of people showed up in person to deliver a message to you. Get salmon farms Out of BC waters. We await your response. A series of government memos reveal a heated debate in 1995 over a sea louse outbreak on a farm salmon on the Fraser sockeye migration route (Okisollo Channel). In 1995, a salmon farm requested permission to use hydrogen peroxide to treat an extremely heavy outbreak of sea lice on their fish. When the Ministry of Environment, Parks and Lands (MELP) informed the company that their drug application would have to be released to the public, the fish farmer withdrew the request. When environmental groups found out about the sea lice outbreak, the BC Salmon Farmers Association called for an investigation of MELP and a guarantee that fish farmers had a right to secrecy in the future. However, salmon farms operate in Canada’s public waters and impact a Canadian resource – wild fish. “MAFF” = Ministry of Agriculture, Fisheries and Food, now Ministry of Agriculture and Lands (MAL). Either the sea lice remained on the farm fish on the Fraser sockeye migration route or they were treated without permission from MELP. These documents reveal heroes among our MELP bureaucrats who tried to protect our wild salmon from salmon farms. Gordon Campbell disbanded MELP as soon as he took office in 2001, and he renamed MAFF, MAL and gave them control of allocation of Crown Land. The fish farm industry did not develop a sea lice action plan, the public lost their government biologist advocates, sea lice outbreaks continue with lethal infection underway today rates on wild juvenile salmon on the Fraser migration route (Okisollo Channel) (photos available) and Fraser sockeye stocks migrating through Okisollo Channel are in steep decline. If we cannot save wild salmon in British Columbia, we do not live in a democracy.